Ireland currently has the second highest excise tax on cigarettes among the European Union’s 28 member states, trailing only the UK. According to the Excise Duty Tables for Manufactured Tobacco published in July by the European Commission (DG TAXUD), the excise yield from cigarettes sold in Ireland at the weighted average price (WAP) is EUR 316.49 per 1000 sticks. Despite regular increases in the rate of excise which have taken the excise yield from € 227.32 per 1000 cigarettes sold at the most popular price category (MPPC) in 2008 to its current level, a rise of 39.2%, annual excise revenue has been essentially flat at €1.1 billion during this period. Such lack of growth amid rising rates is attributable to several factors including a decline in tobacco consumption among the nation’s smokers, stubbornly high rates of illicit trade of non-Irish duty paid cigarettes and more recently, a slow but steady trend in smokers switching to electronic cigarettes. Not surprisingly, some interested parties in the government have turned their attention to the revenue of taxing vapor products. 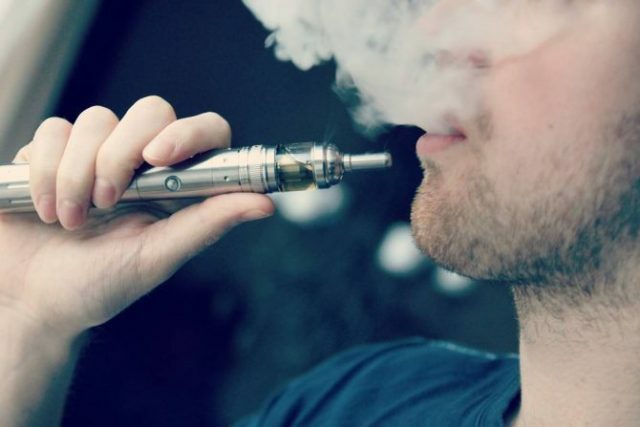 A study on “General Excises” published in July by the Department of Finance raises the possibility of introducing a new excise tax on the liquid used in electronic cigarettes. The report, which was prepared by the Tax Strategy Group, reviews the performance of non-environmental excise duties and considers various policy options for the coming years. A new levy of 50 cents per 10 ml of e-liquid, the report suggests, could yield €8.3 million in tax revenue annually. Ireland would not be alone among EU member states to introduce a tax on vapor products. Italy and Portugal, among others, have decided not to wait for the European Commission’s decision to include a harmonized tax mandate in a revision of the current Excise Directive on manufactured tobacco and have launched their own excise taxes. The Irish proposal, however, occurs against the background of several recent studies and policy recommendations by public health organizations which indicate the “vaping” is significantly less harmful than smoking tobacco. The UK’s Royal College of Physicians reviewed the data regarding the use of electronic cigarettes and concluded that the long term risks of using these products are unlikely to exceed 5 per cent of those associated with smoked tobacco products and may be even lower. It is unsurprising therefore, that many knowledgeable sources have urged caution with respect to taxing electronic cigarettes. Since these products represent a less harmful option for consumers, tax policy should not make them less affordable to those looking for alternatives to tobacco products that are burned.